3) The lower reservoir in most gravity purification systems has a two to three gallon capacity and a typical household uses about one refill per day. We recommend that the upper reservoir be filled at night. The water from the upper reservoir should be purified by morning. Households requiring more water can speed up the flow rate by drawing off the purified water into a water pitcher or other container when the water level in the lower reservoir rises above the bottom of the Berkey PF-2™ elements. 4) If residual process dust is still visible after priming, please repeat the priming and installation process as described in the installation instructions. Testing for fluoride was based on 20-30ppm of the ion in the in fluent aqueous solution at a flow rate of no more than 3 gpm (11 lpm) per cubic foot of media. Results of < 1ppm of the fluoride ion in the effluent were typical for the media (>95% reduction). Under optimum conditions, effluent concentrations of less than 50 ppb were readily achieved (>99.75% reduction). No, in order to reduce fluoride in your water you will need to use post filters that work in conjunction with the filters in your system. We have two types, the PF-2™, which are used in conjunction with the Black Berkey™ purification elements, and the PF-4™ filters that are used in conjunction with our ceramic filters. I noticed that the PF-4™ elements also remove MTBE and heavy metals. Should I use these with my Black Berkey™ purification elements? No, the PF2™is used in conjunction with the Black Berkey™ purification elements and the PF-4™ elements are used in conjunction with the ceramic filters. The Black Berkey™ elements remove MTBE and reduce heavy metals whereas the ceramic filters do not therefore; we incorporated MTBE and heavy metals reduction capabilities into the PF-4™ elements. Each set of four PF-4™ filters is will last for 1,000 gallons or six months whichever comes first. 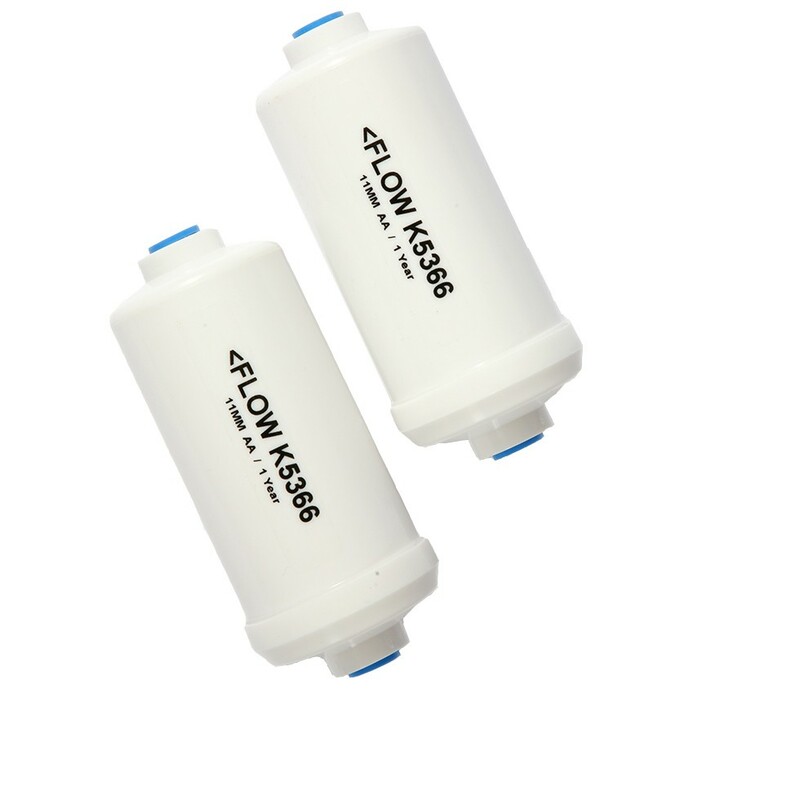 The reason for the six-month limitation is that the carbon within the PF-4™ filters extracts contaminates that can be nutrients on which bacteria can grow. If the filters are used longer than six months “grow-through” can occur. What is the life of the PF-2™ filters? Each set of two PF-2™ filters is will last for 1,000 gallons. Since these elements contain pure fluoride and arsenic reduction media and no carbon, there is no six-month limitation rule as is the case with the PF-4™ elements. 2) Then multiply that figure times the capacity in gallons of your particular system (for example the Berkey light™ system is 2.75 gallons) to determine Total Gallons Used Per Week. 3) Finally divide the Total Gallons Used Per Week into the 1000 gallons and that will tell you how many weeks before the filters should be replaced. 4) Next calculate the future date for replacement (52 weeks per year) and write that date on a sticker and attach it to the bottom of your system for future reference. I installed my PF-2™ elements but my water is a bit cloudy and why does it have a funny taste? The odd taste is from process dust that may not have been washed free from the filter elements during the conditioning process. Please remove the PF-2™ elements and re-condition them for 60 seconds on both ends. This should expel any residual process dust and fix the problem. Do the PF-2™ elements replace the Black Berkey™ purification elements? No the Black Berkey™ elements fit into the base of the upper chamber with the stems of the filters protruding through the holes in the base of the upper chamber. The protruding stems are threaded and the PF-2™ filters screw onto these threaded stems so that the PF-2™'s hang down into the lower chamber. The water flows from the upper chamber, through the Black Berkey™ elements, into the PF-2™ filters and then into the lower chamber. The “PF” in PF-2 stands for Post Filter. So in answer to your question, no they do not replace the black filters but rather work in conjunction with them. If I begin using use the PF-2™ elements, will I need more counter space for my system? No, the PF-2™ elements attach to the stems of the Black Berkey™ elements and hang down into the interior of the lower chamber of the system requiring no additional counter space. The media used to extract the fluoride and arsenic is activated alumina. Since fluoride is a by-product of aluminium production, fluoride has a natural affinity to recombine with activated alumina making it an ideal extraction media. We are not chemists but will communicate our understanding on the subject. Both nutritionist and lab technicians have informed us that aluminium and alumina are two separate animals. Aluminium can cross the blood brain barrier and cause problems with the brain whereas alumina is inert. It is our understanding that alumina is oxidized aluminium. Aluminium is regulated whereas alumina is not for example, alumina is the material used for making the paste in toothpaste. At any rate, when testing for aluminium in water, most tests cannot distinguish between aluminium ions and oxidized alumina. Since we are not chemists, we tested the effluent from the filters and included that information in our brochure. While we were not required to do so, we felt that it was important to disclose to our customers what our results were so that they would have the necessary information to do further research on the issue should they desire to do so. We think it was significant in the test we conducted using the combination of Black Berkey™ elements and PF-2™ elements there was a net reduction in the tested aluminum content of the source water vs. the purified water. Again that test did not distinguish between aluminium and alumina. The bottom line is that the media utilized is oxidized alumina and not aluminium. What are the dimensions of the PF-2™ and PF-4™ elements? I have high PH in my water, will that reduce the efficiency of the PF-2™ elements?